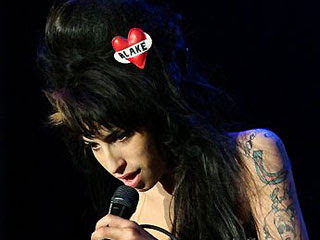 Amy Winehouse has been asked to play the gala opening of an art gallery on Thursday, run by Daria Zhukova, the girlfriend of Russian billionaire Roman Abramovich. Hosting the party is socialite and former model Zhukova, who will be entertaining 300 guests. In preparation for the event, workers are painting concrete walls in the old bus shelter that will soon be the new art gallery. Let’s hope she shows up! In other Amy news: The two people that provided Amy with cocaine and ecstasy that she did in the pics ran by the Sun a few months ago, have been busted. Amy somehow remains clear of charges, while the dealers are being charged with conspiracy. Here are pics from NOTW that also details her affairs that she’s recently confessed to sleaze bag hubby Blake and the infamous racist rant video can be see there as well. 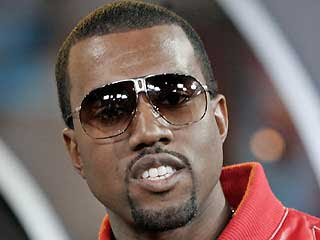 Snoop Dogg was this years host of Europe MTV Music Video Awards. As a good host, had arranged to meet Amy at her hotel room. When he arrived with his entourage…Dogg girl go wild! ..Not Snoop Dogg style! Amy was in the middle of fit, throwing around fruit, tables, chairs and a plate of spaghetti bolognese. 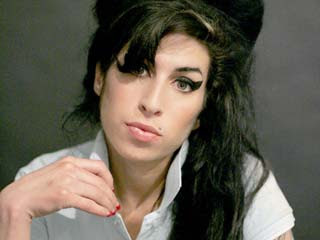 Amy, who was in the running for Album of the Year, Most Addictive Track and Best UK and Ireland Act, was snubbed by the public vote. Amy did go home with one award and that was the Artists’ Choice prize, voted for by her peers. She gave another shake performance of ‘Back to Black’, which she just barely got through. 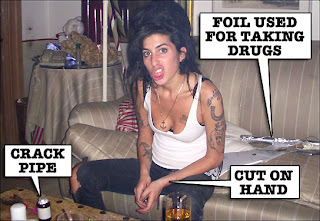 Crazy Amy Winehouse has been arrested in Bergen, Norway. She is said to have been arrested on drug possession, domestic violence or both, the UK rag HolyMoly reports. The 24 year old singer is currently on tour and has a show tonight at Peer Gynt in Bergen. She’s obviously not going to make it! !